The triumphal procession of fruit and berries in casinos did not slow down. The proof is Fruit Warp by Thunderkick. The fantasy of the developers interpreted the fruit theme for a peculiar, but new and original! This time the gamblers won’t see paylines or reels! The bet is made just for the entire game space, and the bonus game has got several levels. Having seen this bizarre mass of floating fruit and berries symbols, many players will find it incomprehensible how the game can be played. Colorful 3D characters of this Thunderkick slot that do not stand still, but drift slowly either in a “juice” or in a “cocktail” and abstract music of some tropic exotic islands will be involved now. In general, all rather Fruit Warp slots components relax you helping you immersing into this exciting process of winning. A non-standard approach to the gameplay of the slot developer, curious interesting solutions attract all gamblers, even professionals. Since there are no lines, winning combinations are counted by the number of identical symbols. In total, 9 symbols are displayed on the playing space at the same time. The profitable combination starts from 3 identical symbols, but each of these signs has its own value. The most expensive sign there is the rare Dragon Fruit, and the cheapest symbol is the Cherry. The player can receive the greatest prize if 9 identical symbols appear on the screen at once.The launch of the spin at Fruit Warp slots begins with a choice of bets. By default, the gaming machine offers 0.10 bet, but the player is fully entitled picking 0.10 – 100 coins. The bet is made not on the payline, but in general — for all the game action. Touching the Start you can both start the fruit and berries “rotation” or simple stop them in any chosen position. The automatic game is also presented — here the gambler picks the number auto spins. The most interesting stuff here is prize (special) rounds. Bonus game starts when 4 or more similar symbol-fruits fall out. These symbols combinations that also launch the other fruit and berry positions can give the gambler much real money. The combination of 5 or more similar signs activates a “fruit-measuring” scale — the area below the symbols, where arrows and pictures are depicted. After that, the winning symbols won’t leave their places, and the others will replace each other. When some new similar “winning” signs appear, all the will continue their rotation, giving the gambler additional winning chance. The game does not offer any jackpot, and it does not have any Wild or Scatter. Meanwhile, the process of gambling is extremely stimulating. 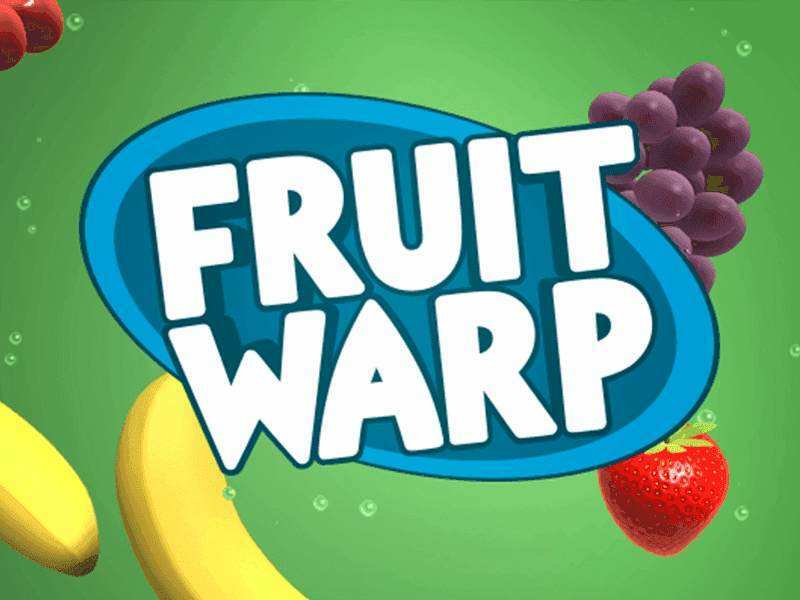 Before picking your bet and risking play free Fruit Warp casino slot machine — the simplest “tasty” and relaxing game. There are no unnecessary buttons, symbols or swirling combinations, therefore nothing will prevent you from feeling at ease when enjoying this stunning slot. 0 responses to "Fruit Warp Slot"